These days, there are numerous charters to choose from. If you’re looking for a cozy and convenient aircraft, the Bombardier Global 5000 is the business jet you’ve been looking for. It has an allowance of up to 19 passengers. With its capacity, you can conveniently meet with your company’s board members or crucial employees so you may continue with your transactions even while travelling. 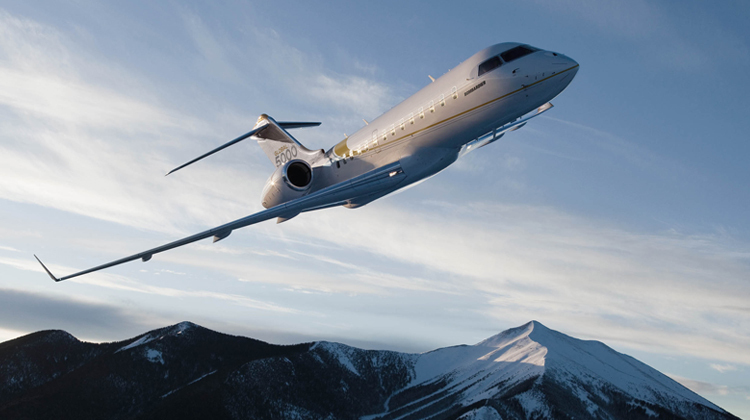 The Bombardier Global 5000 is also known to have the widest flying range, so you can take on international journeys without having to wait around for connecting flights at the airport. Manufactured by Bombardier Aerospace, boasts of a wide cabin to ensure you’ll experience maximum comfort all throughout each flight. The cabin’s temperature may even be adjusted for your comfort. Whether you’re flying to the coldest continent or the tropics, you can trust you’ll still be comfortable while on board the Global 5000. Feel refreshed especially when you’re travelling for business purposes. With a cozy cabin, you’ll be geared to conduct effective meetings and continue working even when you’re thousands of feet in the air. Unlike commercial flights, business travelers who’ll be chartering for the Global 5000 will have more space to stretch out their feet while lounging in-flight. This plane even has customized features to make sure the passengers’ needs will be met, throughout the course of a long flight. Bombardier also announced how this aircraft has the advanced wing technology so passengers can enjoy much smoother rides, they’ll almost forget they’re flying. With a standard configuration, Bombardier’s Global 5000 is laid out into five areas. The Entry Area includes a forward lavatory and a galley plus its annex. Next, the Forward Cabin area contains 4 single executive seats which can fully recline and swivel. The Mid Cabin can hold small conferences, as it contains most of the jet’s seats. It also has tables and compartments to accommodate for refreshments and other communication paraphernalia. The Global 5000’s Aft Cabin has a divan, 2 single executive seats and foldable tables. Towards the tail-end of this aircraft, an Aft Lavatory or Storage Area contains a vacuum sanitation system, storage cabinet and compartment among other facilities. The Bombardier Global 5000 travels in transcontinental distances, with its capacity to fly in much longer ranges. Powered by Rolls-Royce Deutschland BR710A2-20 turbofan engines, this private jet also has the latest avionics to ensure the most accurate navigation possible. 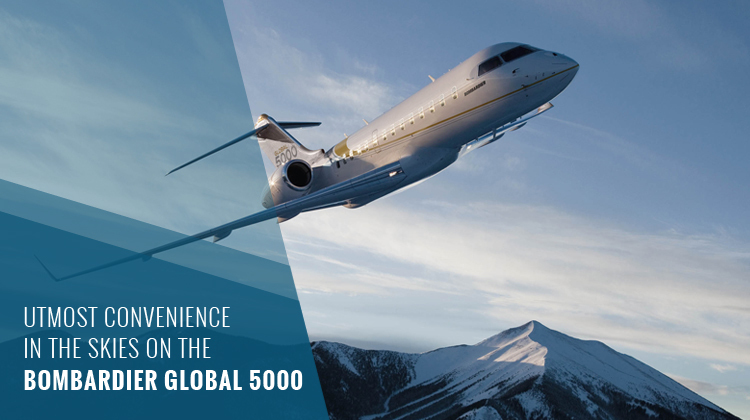 The Global 5000 surely has the performance features you’ll need to make sure you’ll get to your destination in the most efficient ways possible. It’s advisable to ask for your charter’s in-flight entertainment features, so you can gauge the extent of comfort and interconnectivity you’ll experience throughout the trip. Manufactured by the Bombardier Aerospace, the Global 5000 is part of the Bombardier Global Express series, along with the XRS jet. This aircraft has specifically been manufactured to provide much larger cabin spaces and cozier seats for business travellers. The plane was officially launched in 2002. To this day, the said plane continues to bring convenience and ease of flight for private jet passengers.